The MIT Sloan Fellows program is quite unlike any other masters program for business professionals out there. Why? 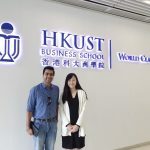 Quite simply because there are very few full-time options for mid-career professionals looking at MBA equivalent programs or programs that give them advanced management skills. On the one hand, there are full-time MBA programs, which will consider applicants with 12+ years of experience as older applicants, while on the other there are Executive MBA programs, which are all part-time options. While the Sloan Fellows Program originated at MIT Sloan, and still exists there, it is also offered by two other top schools in slightly different flavors. The Stanford MSx is the Stanford-equivalent, while the LBS Sloan Masters in Strategy and Leadership is the London Business School equivalent. While there are strong similarities between the three programs. Each of the programs is meant for senior executives, with 12+ years of experience behind them. already have MBA degrees and are pursuing a ‘second MBA‘ through the Sloan program, so to say. Each Sloan program emphasizes leadership and strategy, as executives at that level of experience have reached a position in their careers where both domains impact them significantly. Each Sloan program is 12-14 months long, and each is offered by a top school. While these similarities exist, the Sloan Fellows programs also differ from school to school. Not all Sloan applicants need to take the GMAT. Class sizes also vary, with the MIT Sloan program having a class size around twice that of the LBS program. A more detailed list of the similarities and differences can be found here. AS has a background in Marketing and an MBA from a top Indian business school. At the time AS earned his MBA, he had done so when he had very little experience. Now, almost 15 years later, AS has grown very well in his current organization (two job changes in this period as well). However, as he gets into more strategic roles, he feels the need for further business education focused on international business and strategy. These are increasingly areas he is being asked to look at anyway. What AS wants, though, is further education from a top ranked school only. For him, the Sloan Masters was a perfect fit. Just as it was for Swetha GB, who worked on Stanford MSx interviews with GyanOne and gained an admit to the much-vaunted MSx. See her video testimonial here. Applying to one (or more) of the Sloan Fellows programs? From evaluating your fit with the Sloan programs, to helping you create an impactful application for success at these top programs, GyanOne has deep expertise in helping mid-career professionals make it to the Sloan programs. Contact us today to know more and engage with us. AS worked closely with GyanOne consultants in exploring these issues in-depth. He had never looked at the time he had volunteered for a local charity as something he would one day talk about, but here was a great chance to exhibit his contribution to society. He had been more than just a marketing professional, and had many examples to discuss in terms of his achievements. Not all of these examples, though, would be appropriate to answer questions on leadership and achievement. GyanOne consultants worked intensely with AS, helping identify different aspects he could write about, and also helping him understand how the Sloan program would help him as a person. This is important – and not just for the application. The best moment, though, came when AS submitted his application, writing to the GyanOne team that he believed he could not have submitted a stronger application. A few weeks later (post an interview), AS had the offer of admission in hand. We list here essay topics from all three Sloan programs as a ready reference for applicants. 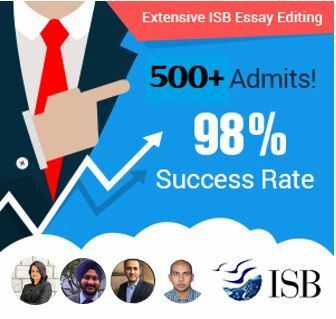 Should an applicant want to discuss his/her suitability for these programs, or their approach for these essays, they are welcome to fill in our free MBA profile evaluation form. Why this program now? What are your personal and professional objectives, and how will the Stanford MSx Program help you achieve them? Formatting directions: 12 point font, double spaced. Recommended fonts are Arial, Courier, or Times New Roman. There is no word limit specified, but we recommend a maximum of 1200 words for both essays combined. a)Will increasing regulation really mitigate risk? Do you think that this is desirable? b)What do you see as the key issues for the next 5 years in your sector and/or region? 4. Optional Statement: What question would you most like to be asked, and why? (200 words max). 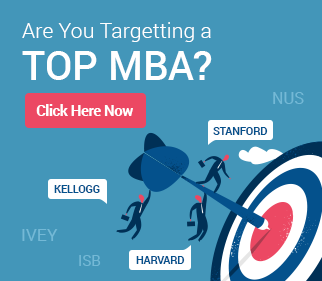 I am interested in applying to the Sloan Program from LBS. I had applied earlier in 2016 but was unsuccessful. I would like to engage with you to make a good application. I have around 13 years of work experience with top companies across various domains.